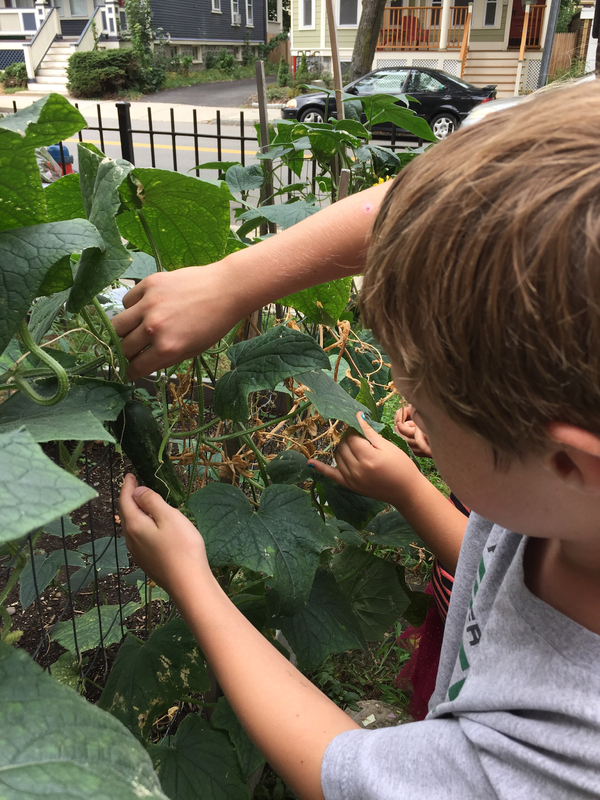 Our fall gardening season is off and running! The Brown School had a fantastic harvest party during the first week back. Eighty students participated in the event (two 3rd grade classes, one 4th grade class, and one 5th grade class). 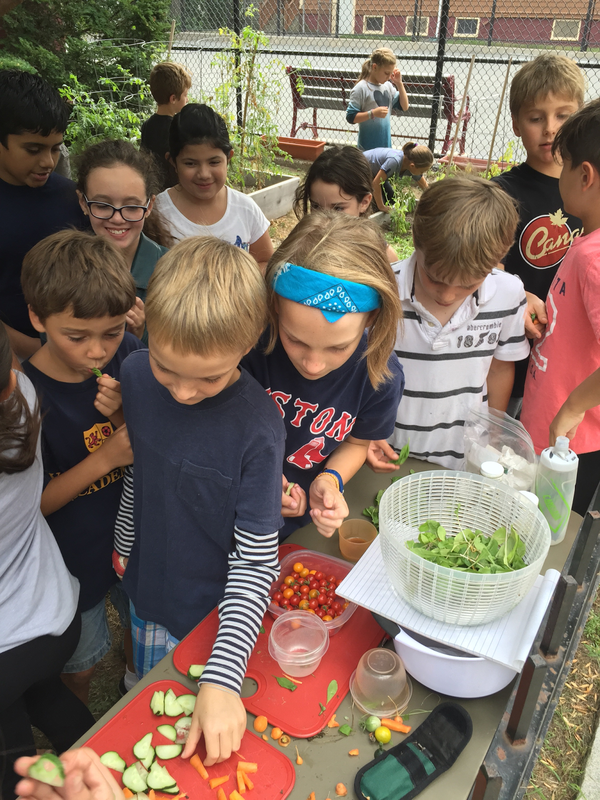 The students picked carrots, cucumbers, arugula, basil, and tomatoes and got to taste them straight from the garden (after some washing of course). 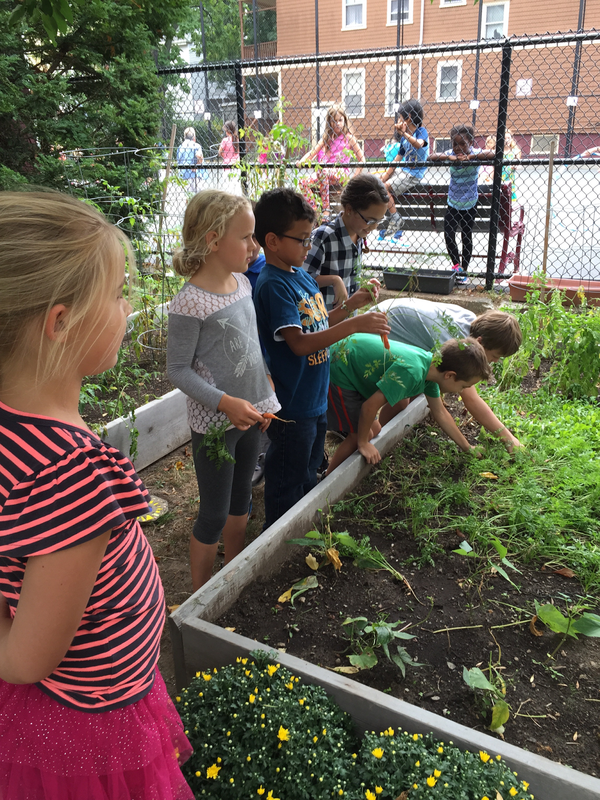 They loved it and had lots of greats answers when we talked about seeds, the plant lifecycle, and what vegetables need to grow. Content provided by Shawn Szturma, Brown School Garden Steward and Parent.